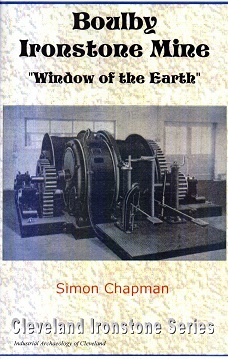 Moore Books :: Cleveland :: Boulby Ironstone Mine - "window of the earth"
Cleveland Boulby Ironstone Mine - "window of the earth"
Boulby Ironstone Mine - "window of the earth"
A little known place, Boulby mine was located on the coast just to the north of Staithes. Early attempts to work the stone were foiled by the lack of a suitable outlet for the produce of the mine. In the 20th century the Skinningrove Iron Company took a lease and opened up a mine. This became victim to economic conditions, failing in 1931. Simon has illustrated his story by quotations from the local newspapers, and reports from those in charge of the mine. Those with an interest in Cleveland ironstone mining will find this book fascinating.